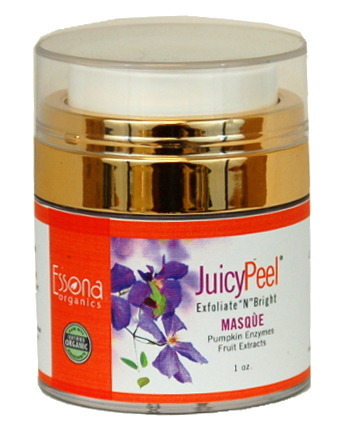 Home > Products > Face > Juicy Peel Masque with Pumpkin Enzymes and Fruit Extracts. Caution: Not recommended for sensitive skin, open wounds, immediately after microdermabrasion, or laser treatments. Make sure you do a skin patch test first to be sure the natural fruit acids don't irritate your skin. During any exfoliation treatment make sure you stay out of the sun; if you have to go outside, make sure you use sunscreen liberally.